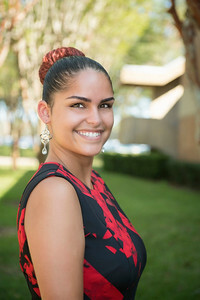 Lisandra Jimenez joined New College in August 2018 and the Center for Career Engagement & Opportunity (CEO) team as an Assistant Director. She currently holds a B.A. in English and Spanish from Florida Atlantic University and an M.A. in Educational Leadership from the University of Central Florida. Lisandra is currently pursuing a Doctor of Education (Ed.D.) in Higher Education Administration from Northeastern University. She enjoys working with students to figure out their career goals and guide them in their college journey. As a first-generation Latina, she brings a unique perspective and diverse higher education experience to the CEO.